…it’s always beef and mushrooms, right? Or just mushrooms for vegetarian? So maybe we just call this stroganoff. Anyway. HAPPY WEEK BEFORE CHRISTMAS. We are currently barreling toward San Diego for a week, and I can’t wait slash am nervous for the flight with Beck because the whining. Please follow our trip on Instagram, we’ll be posting a ton while we are gone! I’m giving you a meal today that has nothing to do with Christmas per se, but is warm, comforting, and easy, which is so important this time of year. There are other meals besides major parties and gatherings, after all, and we still have to feed our families but now is NOT the time to be a hero with elaborate meals. I actually have another pasta for you NEXT week, so I’m really psyched to get all of our carbs in before January. It feels necessary in the cold, right? You know it does. So this stroganoff! 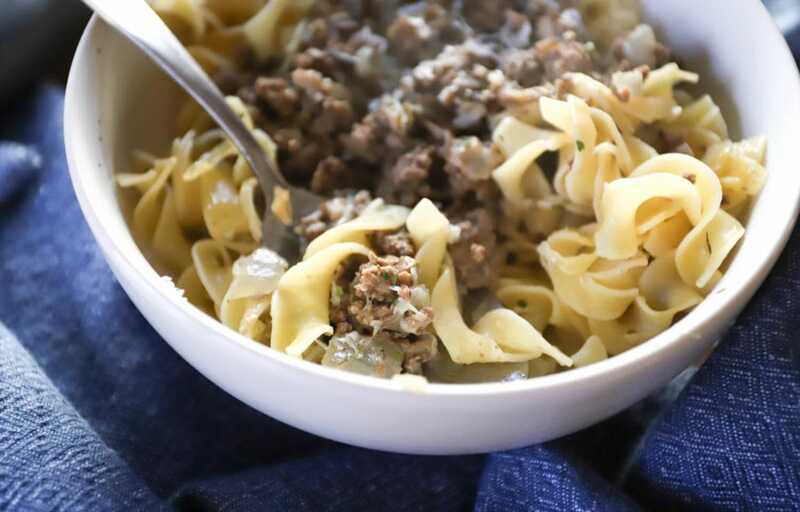 It’s made with ground beef and teensy tiny mushroom pieces, which means my mushroom-hating husband loves it. I like it because it feels like more beef than you’re actually using, and the mushrooms cook way down and get brown and toasty and just EARTHY in the best possible way. Onions, garlic, and spices bring it all home, and buttered egg noodles are a must for serving. Also you can a thousand percent make this in advance and then cook noodles right before you’d like to serve. The stroganoff reheats so well! If it includes pasta, I’m totally OK with it. How’s your day, by the way? I’m having…one of those days. I feel dumb, I feel like other people around me are dumb, I want to drink wine and watch Friends reruns….you know. It happens. Nope, not pregnant or PMS-y, buttheads. It’s a legit “cause” for moods sometimes, but not today. And sometimes on these days we just need pasta, mmkay? 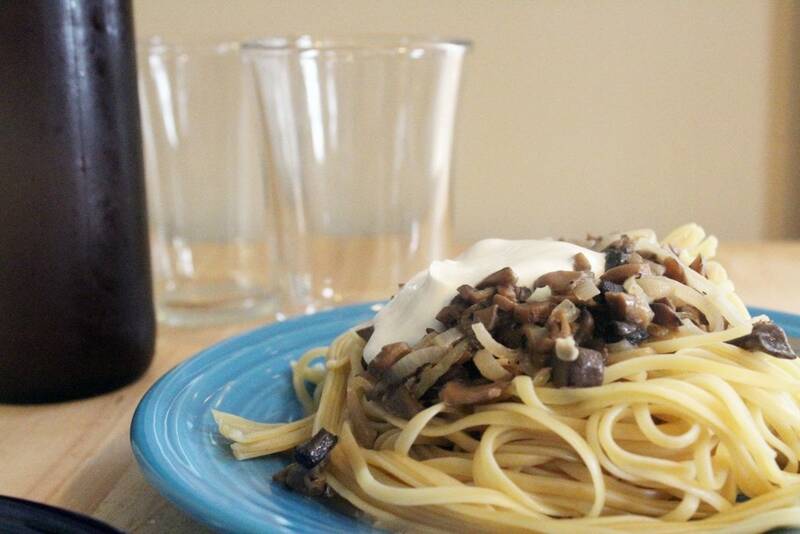 Creamy is always good, and meat is great….BUT why not just use mushrooms sorta like meat and call it a day?